The Enemy is Within. Well, if you haven't already been Tinker Tailor Soldier Spy'd out already, here's yet another bit of marketing for it, this time the first from Focus Features, the US distributor for the film. 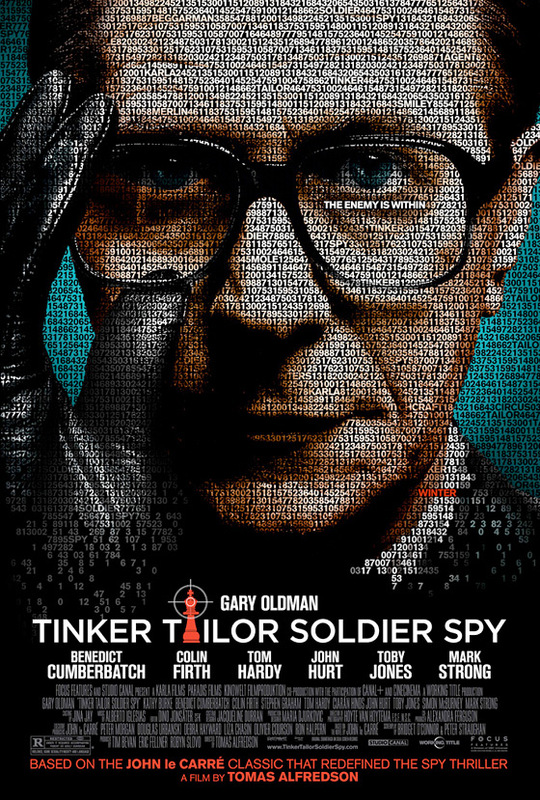 Yahoo has unveiled the official poster via Twitter for the US release of Tomas Alfredson's Tinker Tailor Soldier Spy, which will also be getting a new "US trailer" this Friday - so stay tuned, because that's coming, too. As for this poster, it's similar to the past coded designs we've seen, but with a different tagline and new photo of Gary Oldman, who still as always looks badass. If you haven't seen enough, then reveal it below. I love to see Gary Oldman headlining a movie. This shouldnt make just me happy, this should make EEEEEEEEEEVERYOOOOOOOOOOOONE(!!!!) happy.